positive entry on Trip Advisor. 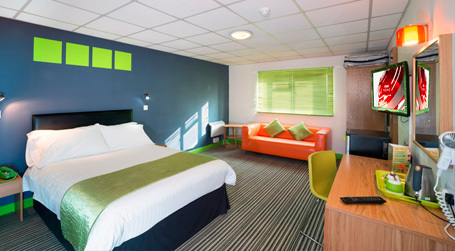 Looking for Great Value Hotels in Warrington, Runcorn or Northwich? We really hope that from the minute a new Guest walks into Reception, they feel the difference, we are not part of a large budget motel chain, we are privately owned and really do value each and every one of our Guests! We realise that you have many other local accommodation options, so our first priority is to work hard to ensure we are your number one choice when staying in this area. Today, Happy Guests Lodge has higher Guest ratings than any other Hotel or Bed and Breakfast in this area, across all three of the main national Guest internet review sites – so you can book with confidence! We also aim to offer excellent Value for Money, there are not too many Cheap Hotels in Warrington and we are sure if you compare our prices with other Hotels or Bed & Breakfast in Warrington or indeed in Runcorn or Northwich, you will see just how competitive we are. All our en-suite Bedrooms are BIG - 25 m sq and equipped with Super Comfy Beds to guarantee you a good night’s sleep and Big Flat Screen TV’s with over 40 channels to choose from to ensure that you never get bored. We also offer all our Guests Fast & FREE in-room Wi-Fi, FREE on-site Parking, a FREE Continental Breakfast and even FREE use of a Local Gym during their stay. In addition we offer all our Guests FREE Room Service with all Evening Meals and are Licensed – so you can relax and unwind after a hard day’s work! We have a wide selection of room types to suit everyone, Single, Twin, Double and Triple Rooms, also Superior Rooms with Fridges, I Pod Docking Stations, Big Sofas, etc. 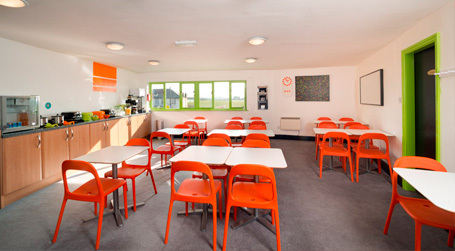 In addition we have 3 types of Family Rooms that can accommodate up to 2 Adults and 3 children. Happy Guests Lodge sets itself apart from the boring corporate chains that often see Guests as numbers on a spread sheet rather than real people with real and different needs. Our location is ideal for many towns in the North West of England - we are less than 15 minutes away from Northwich, Warrington, Runcorn, Widnes & Frodsham and you can be in Chester, Liverpool or Manchester in less than 30 minutes. Warrington itself has a deep industrial history with the manufacturing of Wire being one of its key industries, although today it is more famous for its Rugby League Team, which attracts lots of away supporters on match days, often unsuccessfully looking for cheap hotels in Warrington. So whether you are looking for Hotels near Warrington, Bed & Breakfast in Warrington or indeed in Northwich, Runcorn, Widnes or Frodsham, we are perfectly situated. 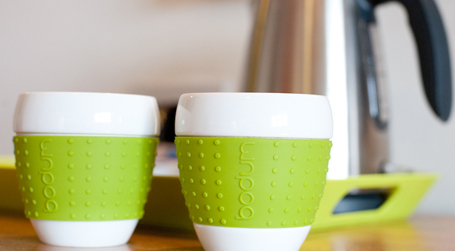 If you have any questions, we would be delighted to hear from you so please GET IN TOUCH. 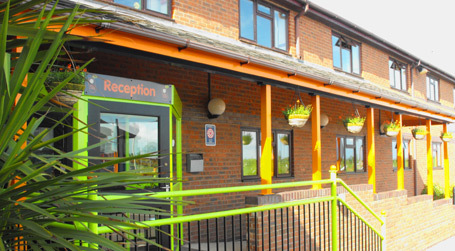 Our location, less than 15 minutes from Warrington, Northwich & Runcorn, means we offer a flexible and convenient place to stay. 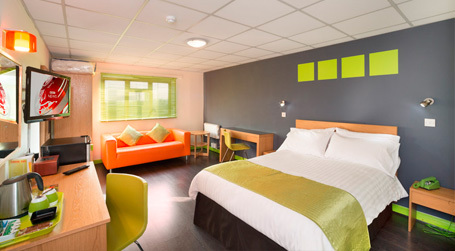 We provide Superior Business Rooms with Work Desks, Large Flat Screen TV’s and DVD’s as well as a range of Large standard En-Suite Rooms from Singles to Triples – all offering great Value for Money and including a complimentary Continental Breakfast. 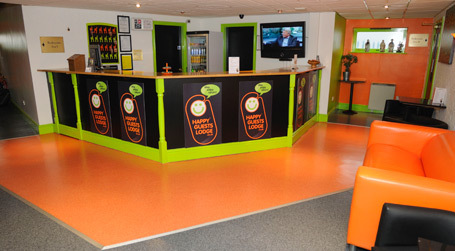 Cheshire is a great place to visit and Happy Guests Lodge offers a refreshingly different and vibrant Guest centred environment. 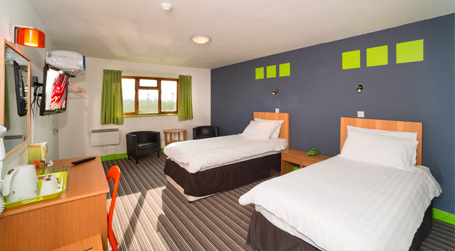 We have 20 large en-suite rooms, which offer flexible levels of accommodation, including Triple and Family Rooms for 1, 2 & 3 Children. 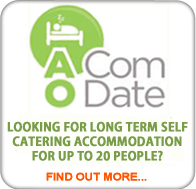 All offering great Value for Money and include a complimentary Continental Breakfast.